Ok, cheesy Dirty Dancing reference aside, I have found one of the most expensive (well, compared to a Hershey's bar, expensive. But Hershey's is still kinda the standard measurement of a satisfactory chocolate experience, right? Maybe not a ohmigod-I-need-a-cigarette-that-was-so-awesome experience, but a ohmigod-i-need-chocolate-or-i-will-shave-my-head-NO-shave-YOUR-head experience. Right?) 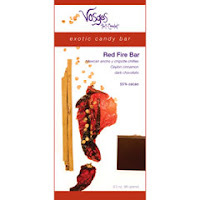 most incredible new candy bars. Curse you, Whole Foods! i am totally in love with these bad boys. the Red Fire is actually spicy-hot. But chocolate. Spicy-hot chocolate. 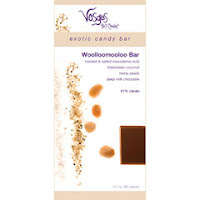 And how much fun is it to say Wolloomoolloo over and over again with a mouthful of macadamia-chocolaty goodness? REALLY FUN. Here's the link to my favorite one. You can find them cheaper, but they are totally worth the arm-and-a leg. And when I'm out on my soapbox, running for office (HAH! ), telling people that I cannot be bought, that I am a woman of integrity who will not sell out, please do not bring any of these over. I'd hate to be called a liar, too. i want that hour BACK!